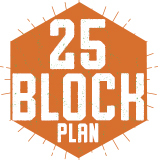 From February 25 to March 8th, get the Block 25 Meal plan for $325.00 plus taxes. This meal plan includes 25 meals to eat at our all-you-can-eat dining hall at The Fresh Food Company, and $50 Foodbucks to use at any Dining Services location on campus. Plan is valid until the end the academic year.